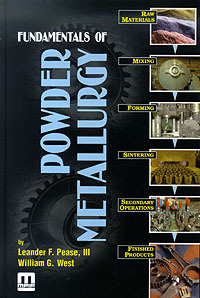 Powder Metallurgy (P/M) parts are produced by mixing carefully selected metal powders, compacting them at room temperature in precision die, then heating (sintering) the resulting shapes to complete the metallurgical bond between the powder particles. After sintering, parts usually have the required tolerances, mechanical properties and surface finish specified in the drawing of the parts. Thus raw materials utilization is nearly 100% and manufacturing steps and costs are kept to a minimum. If necessary, the parts may be machined, heat-treated, forged or otherwise processed further for even greater precision or strength. Design engineers in many industries depend on P/M for cost effective production of products that have repeatable tolerance, high mechanical properties and long life. 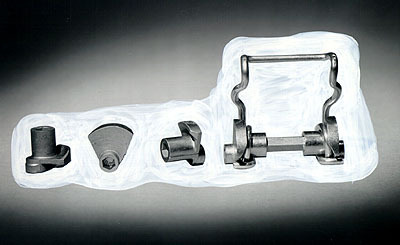 Products are used in automotive engines, transmissions, and chassis, computers, aircraft, agriculture, off-road machinery, business machines, hardware, instruments and hydraulics industries. Contact Us	by email or fill out a quick quote form for detailed information.